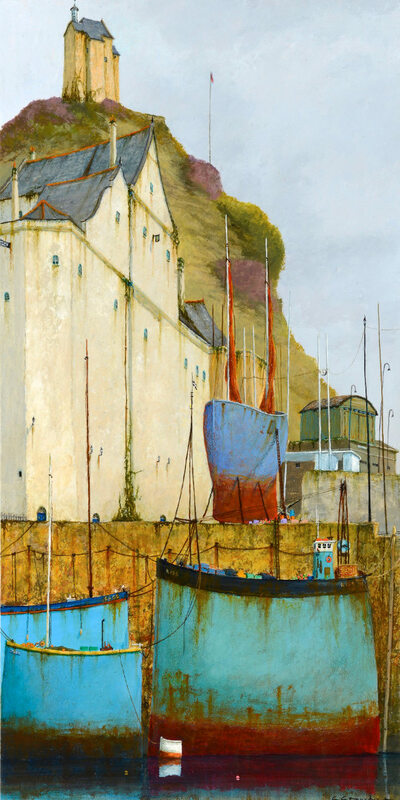 There’s a palpable sense of place in Cyril Croucher’s paintings – not only the marine setting (you can almost smell the whiff of brine in the air and the tang of rust), but your own position low down in scenes that stretch skywards without hesitation. This was Cyril’s breakthrough moment, but built on a breadth of experience of already having produced a wide range of art. 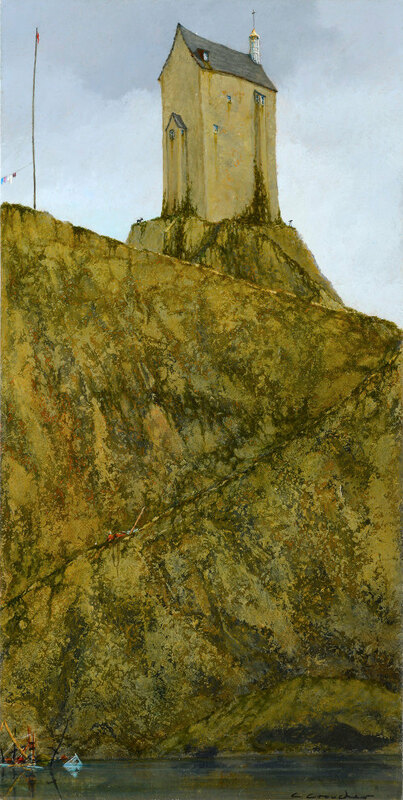 Today, Cyril’s work is instantly recognisable, and undeniably evocative. 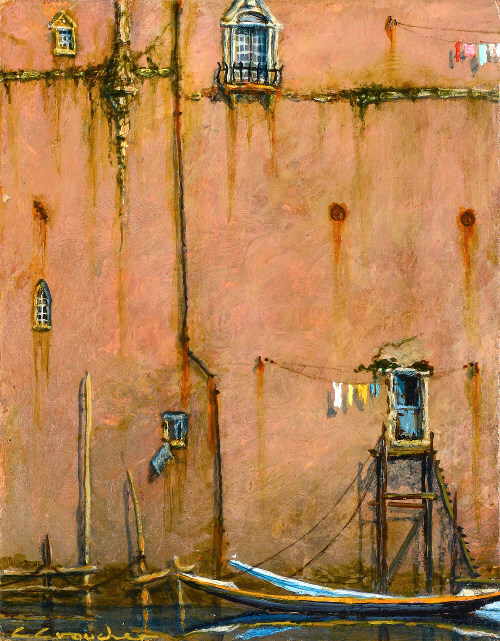 Whether he is painting Venice or Ilfracombe, the key ingredient is an impression of loftiness, and the passage of time. These are not pristine coastal vistas, but elegantly worked snapshots framing working ports, spindly piers, listing boats and weather-worn cliff-top homes, no doubt with exceptional views. 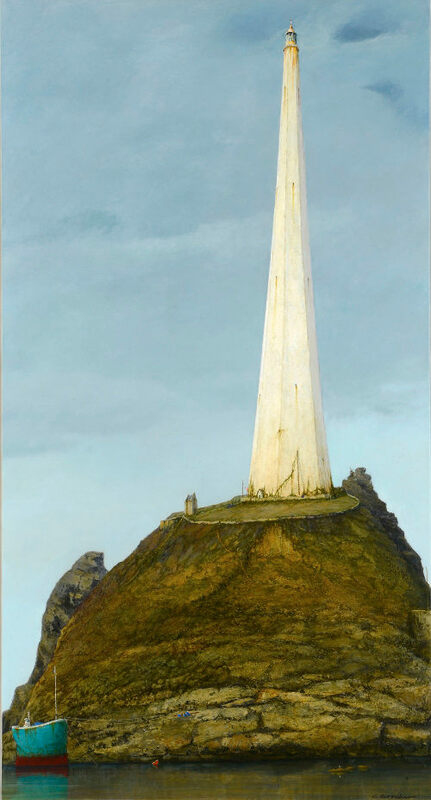 There’s a beauty in the corrosion Cyril depicts, while the elongated proportions give every element a touch of the irreal, suggesting a desire to transcend the clouds. “I am surrounded by a huge amount of subject matter in Cornwall but I also source material from other areas of the UK and from Italy, particularly Venice, and Spain,” Cyril says. Find out more at www.wrenfineart.com. This entry was posted in Inspiration and tagged art, Cyril Croucher by Judy. Bookmark the permalink.